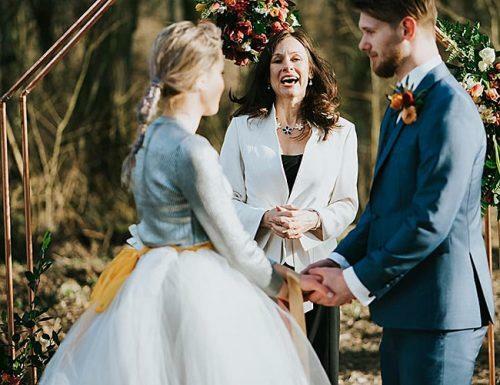 If you want to add something special to your wedding, a handfasting ceremony is a beautiful and symbolic option for you. Handfasting ceremonies are one of many unity rituals which have been a part of secular weddings such as Celtic and pagan weddings for years. Also known as tying the knot ceremony, handfasting is becoming popular in wedding memories all over the world. This is due to its rich history and symbolism. If you are looking for unique ideas for wedding ceremony, a handfasting ritual might be just what you’re looking for. 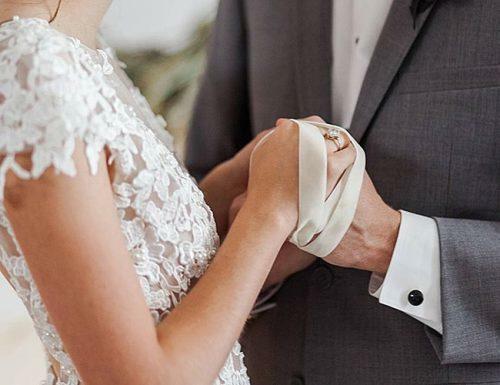 Read ahead to find out more about this timeless wedding tradition. 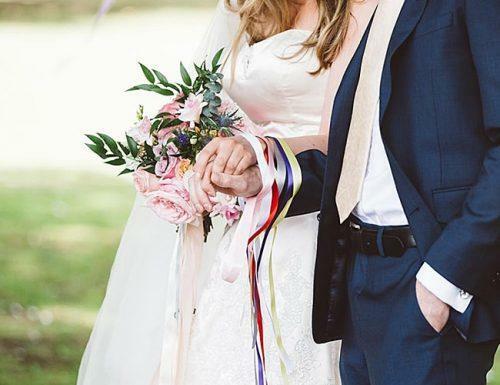 What Does Handfasting Ceremony Mean? What To Say While Handfasting? 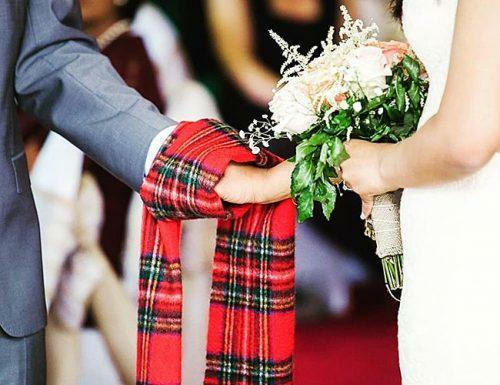 People believe that Celtic handfasting ceremony dates back to prior to the 7000 B.C. Celtic wedding ceremony of handfasting brought a couple together. After they clasped their hands, a Druid priest wrapped a braided cord or ribbon around their hands and tied them up. That was a sign that from that moment the couple was officially married. Celtic marriage knots ritual soon spread to Britain and Western Europe. When Christianity rose, handfasting became a part of the Christian marriage ceremony. Moreover, it is still in use in legal binding marriage in some Scottish and Irish villages to this day. Today the handfasting ritual is most often used in Pagan and Wiccan wedding ceremonies. However, the ceremony itself has become more literal. Inhandfasting ceremony, the couple will choose a time during the wedding ceremony to bind their hands together. This is a declaration of their spiritual and physical connection and a lifelong promise of devotion. However, today’s handfasting ceremonies are becoming more and more mainstream. They are present in both religious and secular weddings as this tradition is becoming extremely popular. First of all, you would choose a cord for your handfasting ceremony. In the Celtic times, this was traditionally a dyed cloth or rope. Today couples can choose a piece of fabric from a family heirloom, a silky ribbon, a chord or even a pretty silk scarf. The chord should be about a yard long. It needs to be long enough to be wrapped around the couple’s hands enough times to form a Celtic knot. In general, the wedding officiant ties the chord. However, you and your spouse could choose someone else to tie the knot for you. This could be a special friend, a family member or even a child. You and your spouse would then either exchange your wedding vows. Or you could have the officiant make a blessing for you as a couple. It is entirely up to you and your spouse as to when you can incorporate the handfasting ceremony. A lot of couples would discuss this early on in their wedding planning. Then you would let your officiant know at what point you wish to have the ceremony during your wedding. For example, you could begin with the wedding processional and then have the officiant welcome the guests. You could then hold your handfasting ceremony at this point. In addition, you could have it before or after you exchange your vows. In fact, a lot of couples choose to have the ceremony before they exchange their wedding rings. However, you incorporate your handfasting ceremony into the timeline of the day is entirely up to you as a couple! So what do you actually say during the handfasting? There is no set handfasting ceremony script. You can speak from the heart or prepare something in advance. Sam and Jill, will you please join hands? Sam, do you promise to love and cherish Jill every day of your life? Keep her safe from harm? And fill her heart with laughter? I now bind you together in love. As I tie this knot, it will bind in spirit and in love. Your love will be everlasting. *Officiant wraps the cord around their hands and seals it with a Celtic knot. There would then be a blessing of some sort. Of course, you can write your own vows for your handfasting ceremony, but this gives you a general idea! Make sure to make a simple checklist of everything for the big day! We are sure that your handfasting ceremony will be special and meaningful!